The Yeah Yeah Yeahs are evolving and quickly. New album Mosquito may well be the clearest sign yet that their scrappy New York Punk roots were merely one incarnation of this versatile three-piece. 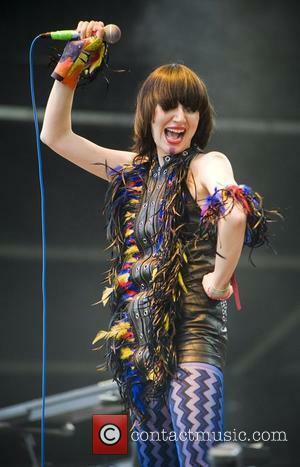 Karen O seems to have paid her debt to the likes of PJ Harvey in full. She's no longer a primal force of nature, having morphed into something far more refined and seductive. Just like the tiny insect that held the key to Jurassic Park, Mosquito opens the door to all sorts of possibilities for the Yeah Yeah Yeahs. It's by no means a perfect record, although it starts promisingly enough with the raunchy biblical overtones of the funky gospel number 'Sacrilege'. "Fallen for a guy, fell down from the sky"; Karen O sings before the track cranks up the volume to a full handclapping conclusion complete with a choir. It's infectious and fun and picks up where previous record, It's Blitz!, left off. But it's also not indicative of Mosquito's true nature. That honour goes to the far more sedate and dark 'Subway', which slows the pace of the record to a crawl. While the train noises, which are used as a percussive heartbeat to the track, are a welcome addition, it takes its time to make an impact. Seemingly concerned more with the hypnotic possibilities of the vocal which is intertwined with the instruments, there's a subterranean sense of cool that oozes through your speakers. It's a trick that's repeated on the Dub inspired 'Under The Earth' and again on 'Always'. But ignoring the sudden gear changes, these experiments in sound also lack a sense of immediacy and urgency that have defined much of the Yeah Yeah Yeahs previous work. When the pace does pick up, for example on the title track, the decisions elsewhere on the record do start to make a certain amount of sense. There's more emphasis on the almost tribal beats and minutia than the guitars for much of Mosquito's runtime. Ironically, when the guitars do start to dominate proceedings on the sci-fi inspired 'Area 52' they feel quite alien compared to what's come before. 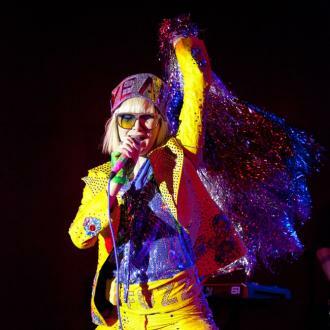 It's a feeling that's echoed by Karen O's repeated declaration; "I wanna be an alien". It's almost as if the band have tried to experience the world from the perspective of the album's namesake, by doing so and marginalising the big sounding guitars on many of the songs, they've transformed themselves into an entirely different creature. The possibilities for the Yeah Yeah Yeahs now seem endless. The inclusion of Kool Keith's alter ego Dr Octagon on 'Buried Alive' is one such example. Although slightly scattergun in its approach, Mosquito almost feels like a record the band needed to make to reach the next stage of their evolution. It's a sentiment that the standout closing track 'Wedding Song' seems to underline as Karen O assures us; "With every breath I breathe, I'm making history."